Summer is fast approaching in the Northern Hemisphere, and that means rooftop parties in Soho, picnics at Hampstead Heath and days spent fighting your way for a square inch of space at Shoreditch House pool. 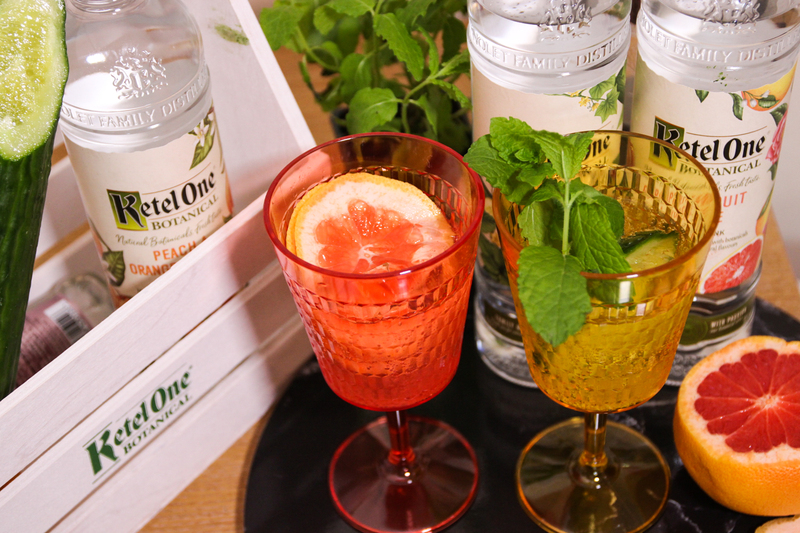 For a season full of celebrations and sunshine you need an appropriate drink in hand, so we’d like to introduce you to Ketel One‘s new Botanical range. Not quite a vodka and not quite a gin, the summery new range is made by distilling different botanicals to create light and vibrant flavours. Grapefruit & Rose, Cucumber & Mint and Peach & Orange Blossom are the three fun varieties in the range, simply waiting to be mixed in a glass with some ice and soda water. If you’re a massive fan of drinking spritzers in the summer like us, this will be your new go-to warm weather drink. They’re very refreshing, have no added sugar and a lower ABV of 30%, meaning they’re perfect to sip on while spending a day out in the sun. Best of all, you don’t need loads of ingredients to create an amazing drink. After topping with soda, simply garnish with the complementing fruits, herbs and flowers for a beverage that looks as good as it tastes. Our pick of the three would have to be the Cucumber & Mint, a wonderfully savoury drink that we can picture cooling us down on all our European beachside escapes. If you’re keen to bring a bottle to your next gathering, you can pick one up from Harvey Nichols, Ocado or Amazon.